With a title that practically demands a dramatic pause before the final word, 100 Doors of Revenge is a new single-screen room escape game from Gipnetix Games, creator of 100 Doors 2013 and 100 Escapers. Once again, you find yourself faced with a series of locked doors, and the only logical course of action is to start solving your way forward! Each room in this tower of doors is sealed shut, and in order to open the elevator so you can keep moving up, you've got to figure out how to unlock it. Puzzles are usually of the standard room escape variety, with codes and other simple things to solve to gain access. Occasionally 100 Doors of Revenge will throw a wrench in your plans and use the touch screen in unusual ways, just to make sure you weren't on automatic pilot. There are several dozen doors to unlock, with more being added on a weekly basis. It's hard to go wrong with a "100 game" from Gipnetix, especially when it sports the attractive price tag of free! Like mobile escape games? Try some more on for size! NOTE: This game was played and reviewed on the Nexus 4. Game was available in the North American market at the time of publication, but may not be available in other territories. Please see individual app market pages for purchasing info. 100 Doors of Revenge Walkthrough now available! Tap the green arrow to the right of the doors. Now tap the elevator to head up. Tap both green arrows simultaneously. Slide your finger on the right from START to END. Tap the elevator to head up. Make note of the pattern of colored tiles on the floor and that the bow changes directions when you tap it. Following the pattern, point the bow at the appropriate color, then press FIRE!. Make note of the numbers above the door. Tap the keypad and enter the correct 7-digit code. 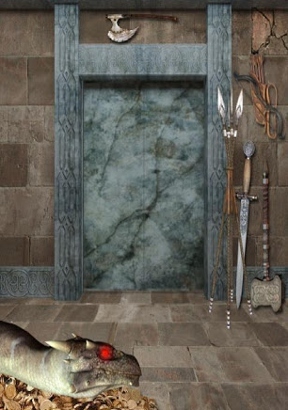 Make note of the clue above the doors and the items on either side. Flip your device upside down to get the ball to hit the button. Make note of the words to the left of the doors and the out-of-place vase on the upper right shelf. As instructed, shake your device to break the vase. Collect the key that falls out. Use the key on the doors. Make note of the handprint to the right and the lit up fingertips. Using as many fingers as necessary, cover all the fingertips. It will take several seconds to register, and you'll see the three lights above the doors light up. Make note of the object above the doors and the numbers in all the cubbies. Drag each of the vehicles below to their respective cubbies based on the number of wheels. Collect the bucket in the lower right. Drag the wheelbarrow to the left into the fire hydrant. Use the bucket on the water to fill it. Now use the bucket of water on the container to the right of the doors to get the key to float up. Collect the key and use it on the doors. Tap the claw to pick up the leftmost teddy bear. Tilt your device to the right to move the claw over the hole. Now tap the claw to release the teddy bear into the hole. Move the claw over the next bear by tilting your device to the left. Repeat these steps until you've dropped all the bears into the hole. Use the claw to pick up the key left behind by the last doll and drop it in the hole as well. The goal of this level is to turn all the blue circles red by passing a laser over them. Move the lasers by dragging the red circles into the position you would like. One end below the two lower circles. The middle one above the three lined-up circles. The other end to the lower right of the rightmost circle. The goal of this level is to move each of the three rows of symbols to 'spell' something relevant. Move the rows to spell KEY with the green key symbols. Do this by moving all the rows to the left end (using the left arrow). Collect the hammer and bow and arrows from the right. Use the hammer on the cracked brick in the upper right. Now use the bow and arrows on the dragon's exposed neck. Collect the C4 off the shelf and the fuse from the sign above the doors. Shake your device to dislodge the detonator and collect it. Use the C4 on the bottom middle of the brick wall. Now use the detonator on the lower right part of the floor. Finally, use the fuse on the space between the two. Tap the detonator to open the doors. Collect a cannonball from the pile. Use the ball on the cannon to the left. Collect the key, then use it on the doors. Tap the pile of spray paint until you've collected three cans. Use the correct colors on the flag to correspond with the flags you see for Brazil and Great Britain. Drag the orange ball in the upper left to the circle in the lower right. It will move in the direction indicated until it hits a wall. Shake your device to break the chair. Collect the wooden slats and use them on the incomplete railroad tracks. Tap the train to see the cars. Make note of the window pattern for each of the three cars. Now tap the keypad and enter the correct 3-digit code. Finally, tap the elevator to head up. Collect the blue flyswatter on the left. Wait until the fly is over the plate on the floor, then use the flyswatter on the fly. Make note of the code on the plate. Tap the keypad and enter the correct 4-digit code. As indicated above the doors, you must enter XY into the keypad. The column on the right gives you the sequence, the corresponding numbers on the left indicate the number of times to enter that number. Tap the keypad and enter the correct 5-digit code. Make note that each of the spiders drops different distances. Tap the keypad and enter the numbers for the distances, left-to-right. Make note of the clue above the doors and the four rows of symbols down the doors. Add each half of Roman numerals down the middle as indicated for the code. Tap the keypad and enter the 8-digit code you figured. Make note of the down arrows and the various numbers hidden in the scene. Tap the keypad and enter the correct 6-digit code. 6 and 9 above the chandelier. Two 8's on the doors. Collect a rock from the pile. Use the rock on the right side of the seesaw. Shake your device to get the weight to fall. The rock will end up on the top shelf. Drag the weight back to its position on the upper left shelf. Collect another rock from the pile and put it on the seesaw. Repeat the last step so there are two rocks there. Shake your device to get the weight to fall. A rock will end up on the middle shelf. Drag the weight back to its original position. Collect another rock and put it on the seesaw. Repeat the last step until there are three rocks there. Shake your device to get the weight to fall. A rock will end up on the bottom shelf. The goal of this level is to fill all four cylinders past their respective red lines. Tap and hold all four cylinders at once to fill them. Make note of the three trees with a wider notch than the others (all except the inner-left tree). Tap the three sliders on the doors to match the level of the notches from right-to-left. Collect the crowbar above the doors. Use the crowbar on the the squares until you reveal the oil. Collect the oil and use it to the left of the large rock. Drag the rock to the left, out of the way of the doors. Make note of the tile pattern on the floor. Tap the circles to match the darker tiles of the pattern. As the scale says, you are limited to 5 kg (about 11lb) on it. Above the doors, it's hinted that we must have 5 items on the scale. Drag the five lightest items onto the scale. Teddy bear in the upper left corner. Soccer ball in the upper right corner. Teddy bear to the right of the doors. Apple in the lower left corner. Collect the knife at the bottom of the cheese cabinet. Use the knife on the cabinet to collect a piece of cheese. Now use the piece of cheese on the spot closest to the trap. Repeat the last two steps to fill the spots from left-to-right. There is no one single answer to this level. Pay attention to the numbers that flash in the diamond of circles in the room. Tap the circles in the order indicated. If you mess up, the numbers will re-randomize (you must have selected all eight circles first). Once you've gotten the correct order, tap the elevator to head up. Flip your device to get a key to fall out of the open pipe. Collect the key and use it on the electric box. Make note of the colors above the doors and the number of objects matching those colors. Tap the keypad and enter the correct 3-digit code. Make note of the symbols above the doors. Shake your device to get the wood pile to fall. Now make note of the number of logs with the same shaped ends as above the doors. Make note of the clue on the doors. You want two containers with 4 units of water each. To move the water, first tap the container of origin, then the container you'd like to poor it into. Fill the 3 unit container. Now pour those 3 into the 5 unit container. Again, fill the 3 unit container from the 8 container. Fill the 5 unit container from the 3 unit container. There are now 2 units in the 8 container, 1 unit in the 3 container and 5 units in the 5 container. Pour the 5 unit container into the 8 unit container. Move the 1 unit from the 3 unit container into the 5 container. Fill the 3 unit container from the 8 container. Finally, pour the 3 unit container into the 5 container. Make note of the colors above the doors. As indicated by the down arrow, you'll be working your way down through the three colors. The left arrow above the doors tells you the order of the colors. Looking at the pictures, there are three rows of each of the colors, so tap the colors in order through each of the rows, top-to-bottom. Make note of the welcome mat colors and the arrow on the bottom. Tap the diamonds in the color-order indicated on the mat. There are five bowls of peanuts, numbered 1-5, left-to right. As indicated above the doors, you need the values of bowls 1, 3 and 5. Below the bowls, you're given the values of adding adjacent bowls (bowl 1+2=52, etc.). And below all that, you're told that adding all five bowl values equals 100. Use this information to solve for the value of each bowl. Make note of the five buttons in the room, three colors and two numbers. On the door is the flag of Brazil and pressing any two buttons will cycle through the flags of France, Greece and the Bahamas as well. Rather than think of the colors as colors and numbers as numbers, think of the words that represent each (not the color red, but the word "red"; not the number 5, but the word "five"; etc.). Using the name of the country as an indication, tap the two buttons that correspond with the first two letters (except the Bahamas, where it's the first and last). You can start the sequence with any of the flags. The goal of the level is for each row and column (not diagonal) to add up to 15. 3 and 5 are already placed on the board, but they can be moved. Drag each of the other numbers to complete the puzzle. Make note of the arrows on the floor, going small-to-big, left-to-right. Now make note of the upside down furniture. Flip your device, as indicated in the previous clue, and make note of all the numbers in this orientation (including the 9 in the picture frame). Order the numbers smallest-to-largest, as indicated in the first clue, for an 8-digit code. Tap the keypad and enter the correct code. Make note of the arrows to the left and the highlighted angles to the right. Given the value of the angles from top-to-bottom, tap the keypad and enter the correct 8-digit code. Make note of the clue above the doors. Turn the volume on your device to the highest setting. Drag the top metal bar to the left and clear of the doors. Now drag the bottom metal bar to the right and clear of the doors. Make note of the arrow to the right, pointing down. Now notice the chess pieces (knights) running down the doors and the directions they're facing. Considering how knights move in chess and the arrow to the right, you should get an 8-digit code. Using the 'PUSH' button, tap out the morse code on the doors, left-to-right, top-to-bottom. Make note of the clue above the doors and how 'RS' is crossed out. Find the number value (A=1, B=2, etc.) for the remaining letters in the clue. Tap the keypad and enter the correct 8-digit code. Make note of the equations on the doors. This will give you an order for the letters (which correspond to the colored balls). Now make note of the letters above the doors and the number of times they occur. One at a time, collect a appropriately colored ball and place it at the bottom of the column, then flip your device to get it in the hole. Make note of the words and shapes above the doors. As indicated in the clues, recreate the three shapes shown, tapping the 'PRINT' button after each one. Make note of the backgrounds of the levels: sky above and ground below. Now drag each of the spheres given to an appropriate niche, whether above or below ground (exact placement doesn't matter). Make note of the placement of the green dot on the floor and on the doors. Also notice the orientation of the grids. Tap each of the squares on the door tiles to match what is on the floor were it to be transposed correctly. The tile of the green dot is white. The rest of the tiles alternate horizontally and vertically black/white. Make note of the dominoes on the doors. There appear to be two dominoes missing pips. To the right, notice a down arrow in the bricks. Following the basic rules of dominoes (like numbers touching), find the missing number of pips for the blank dominoes, top-to-bottom. Collect the sledgehammer to the left. Use the sledgehammer to break the panel in the upper left. Now collect the blue ball. Break the panel to the right, above the 'Hit' button. Use the blue ball on the meter above the button. Drag the bell above the doors to the right. Now use the sledgehammer on the 'Hit' button. Collect the three round tiles on the floor. Select the tile with the vertical line. Drag the blue circle left, and before it snaps back to place, tap the circle matching the tile to place it. Now select the tile with the horizontal line and do the same with the green circle. Finally, select the tile with the 'X' and place it under the red circle. Make note of the openings around the doors with numbers on them. Drag the top blue circle away from the center, then place it in an opening with a number matching the number of red lines coming from the circle. Continue this for all seven circles (some lines will not be apparent until some of the lower circles have been moved). Make note of the objects flashed at the beginning of the level and their order. Tap the six objects now shown in order based on which objects from the beginning they correspond to (if you mess up, the cycle will repeat). Make note of the pipes with handles on them. Tap each handle until the red spoke points in the same direction as the bend in the pipe above it. Collect the shotgun, sword and dagger off the wall. Put all three items in the trashcan. Drag each of the balls down so their relative levels reflect their weights (heaviest, 2t, lowest and lightest, 3 kg, highest). Make note of the scales on either side of the doors. The left one starts at 0, the right one at 1. Tap all four buttons to show what number they should be given their respective scales (one bar per unit). Shake your device until the spider appears. Drag all four flies to the spider. Shake your device until you reveal the statue base in the sand. Drag the body up to the head. Collect a rock from the pile on the left. Place the rock on the carpet. Drag the jug up to the top of the cabinet. Shake your device until the jug falls. Alternately tap the lower 1 and 2 buttons until the water rises above the red line. Now alternately tap the upper 1 and 2 buttons to finish filling the cylinder. Tapping either dial on the doors causes both dials to rotate clockwise. The goal of the level is for both dials to light up their respective green circles. Now tap both dials simultaneously, which will throw them off cycle. Tap either dial until the green circles are lit up. Make note of the severed hands around the doors and that some of the hands are missing fingers. Now make note of the clue on the doors and what that means. Using both clues above, tap the keypad and enter the correct 6-digit code. Make note of the letters hidden around the scene. The many clocks hint at the order these letters should be in. Tap the elevator and enter the correct 4-digit code. Make note of the pattern above the door. 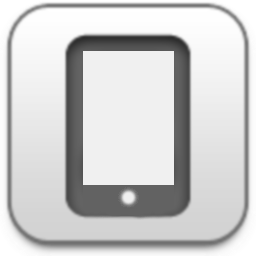 Using the arrow keys, find a wall that matches the first image (of five) and tap it. Tap the wall that matches the second image. Continue this for the other three images. Make note of the pattern in the upper left panel. Tap the keypad and enter the correct 4-digit code, given the values of X and Y. Make note of the equation in the lower left panel and the revealed value of ?. Now tap the keypad, erase the previous answer and enter the new 3-digit code. Make note of the symbols above and on the doors. On the left is a moon and AM symbol, which I believe is supposed to be 3 am. On the right is a sun and PM symbol, which can get you 15 from a 24 hour 3 pm. Given the equation above, plus the addition of numbers on the doors, tap the keypad and enter the correct 5-digit code. Make note of the sideways chairs on the doors. Tilt your device to the left 90 degrees, then drag the left (lower) dial to the right. Now tilt your device to the right, then drag the right (lower) dial to the right. Collect the saw at the bottom of the scene. Use the saw on the lock over the doors. Drag the saw repeatedly left and right. Make note of the lengths of pipe and the numbers next to them. Now make note of the blue numbered chips in the pipes and their relative positions within. Given these two clues, rotate the wheel correctly to open the doors. Pipe has a length of 13, the blue chip is at the top of the pipe: 13 right. Pipe has a length of 14, the blue chip is in the middle: 7 left. Pipe has a length of 10, the blue chip is in the middle: 5 right. Make note of the numbers above the doors. Now make note of the reflective painting to the right. Given the nature of the painting and the symbols you're asked to replicate, enter the correct set of symbols, tapping 'PRINT' after each one. Make note of the symbols on the doors (smallest-to-largest for bronze key, then down to smallest-to-largest for gold key). Tap the cabinets in order, smallest-to-largest. Collect the bronze key, which will close all cabinets. Open the smallest (lower right) cabinet, put the bronze key inside, then close it. Now ignoring that cabinet, tap the rest of them in order, smallest-to-largest. Collect the gold key and use it on the doors. Drag the plants on the left up. Collect the sledgehammer you revealed. Use the sledgehammer on the rock mass to the right (it'll take four taps). Now collect the key and use it on the doors. Make note of the symbols on the doors. Collect a ball, then use it on the conveyor above. As indicated on the doors, count the number of places to the right of where the ball stops. Continue this until you see the pattern repeat. Make note of the symbol on the doors. Collect the ball to the left. Use the ball on the START line. Tilt your device right and left, getting the ball to zigzag across the screen as indicated on the door. Make note of the numbers above the doors. They cycle through a predictable pattern. Tap the keypad and enter one of the 5-digit codes. The code must be entered at the same time that the code appears. Make note of the images to either side of the doors. They're six of the planets of our solar system. Now make note of the symbols above the doors, which shows an arrow pointing from a large square to a smaller one. Tap the images of the planets in descending order by size. Make note of the pattern drawn above the doors. Collect the three hammers on the wall and make note of their shapes. Use each of the hammers on the rock formation in the order shown above the doors. Each brick indicates one tap. For the peaks/valleys, imagine if you were to create the shape from above. The rock will disappear as you complete the sequence correctly. Make note of the symbols around the doors as well as the one above and to the lower left. Dragging the spade/diamond to the center will place it there and move the heart to the lower right. Make note that the diamond appears as an arrow when in the center. Following the arrow from tail to head, put each symbol into the center as indicated, tapping the PRINT button after each step. This level is a spot-the-difference type. Ignoring the cracks on the wall, tap the areas on the right half that differ from the left half. Make note of the message on the doors. As indicated, drag your finger from the START circle through each of the other circles (following the road) to the FINISH circle (accuracy, not speed, seems to factor into your success). Tilt your device to the left and collect the sword that slides out. Drag up on the rope until you can collect the box at the end. Place the box on the table to the right. Use the sword on the box. Repeat the last three steps of collecting the box and using the sword on it. On the third try, a key will appear. Collect it. Make note of the symbols on the doors and the numbers below the portrait. Tap out the first four numbers on the gears in the order indicated on the doors. Below the metal cover will appear a wooden one. Below the wooden cover is another one, so repeat the second four-number pattern. The final cover is metal, so tap out the first four-number pattern. Tap the keypad and enter the 8-digit code given to you. Make note of the colors that flash on the orbs to either side of the doors. Once they've all become grey, tap the squares on the doors that matches the color most prevalent (you can look out for a set of three that will appear). Repeat this for each sequence until all the squares are tapped (you will need to restart the level is you mess up). For some reason it wont let me put both my fingers on the doors ( screen wont accept it. ) at the same time. It works fine on other applications. It keeps whiting out my phone. I loved the original.. I would love to play this one. But I could not get past level two because of that reason. Sad. I really wanted to play this game. Thanks.